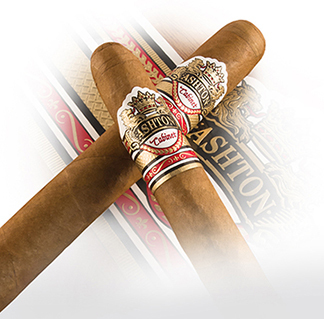 Ashton Cabinet Selection premium cigars are handmade at the renowned Tabacalera A. Fuente factory in the Dominican Republic with a blend of six different tobaccos, including Dominican long fillers aged four to five years. These elegant cigars are covered in a gorgeous chestnut-colored Connecticut shade wrapper aged an additional year for further refinement and dimension. A mild to medium-bodied cigar, the Ashton Cabinet Selection is rich, subtly complex, and well-rounded with a smooth, creamy flavor, nutty core, and light spice. Seven years pass from seedling to finished cigar before the Ashton Cabinet Selection is presented for your smoking pleasure.